The year 2018 brought many good books to the market. I was really looking forward to several of them. Some of them were disappointments, but others made my favorites list for the end of the year. Looking back, these are my favorite reads of 2018. I have always been a fan of Biblical fiction. 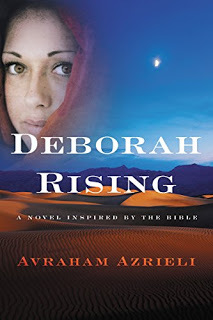 Deborah Rising presented a unique imagining of the prophetess Deborah. Deborah Calling lived up to its predecessor, and I am excited for the third installment. While the book was a fast-paced adventure, at heart it was about a young girl trying to find her own identity and her place in a patriarchal society. Lucinda Riley's The Seven Sisters is one of my favorite series ever! The Storm Sister told the tale of a woman trying to find hope and meaning in the aftermath of a tragedy. I also loved the peaceful setting of Norway! Synopsis: Clara Stahlbaum has her future perfectly planned: marry the handsome pianist, Johann Kahler (ah! ), and settle down to a life full of music. But all that changes on Christmas Eve, when Clara receives a mysterious and magical nutcracker. Whisked away to his world--an enchanted empire of beautiful palaces, fickle fairies, enormous rats, and a prince--Clara must face a magician who uses music as spells...and the future she thought she wanted. "The Enchanted Sonata," a retelling of The Nutcracker Ballet with a dash of The Pied Piper, will captivate readers of all ages. Merry Christmas! My Favorite Christmas Books! The holidays are a perfect time to curl up in a warm chair, sip some hot apple cider, and get lost in a great book. Here are some of my favorite holiday books to chase away the most hardened Scrooge and rekindle that glowing Christmas spirit! Merry Christmas, everyone! While this is not necessarily a Christmas book, it is a great read to start the Christmas season. 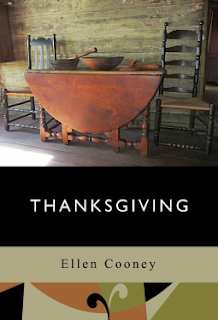 This series of short stories by Ellen Cooney tells how a family has celebrated Thanksgiving since pre-colonial America. This novel focuses on the importance of family and their traditions. Winterdream is a gorgeous and faithful retelling of The Nutcracker. While reading this you will be able to revisit the magic of Tchaikovsky's famous Russian ballet! The Enchanted Sonata is another splendid retelling of The Nutcracker! This novel focuses heavily on music and is perfect for classical music lovers! 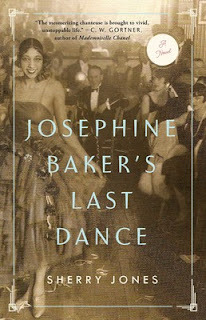 Synopsis: Discover the fascinating and singular life story of Josephine Baker—actress, singer, dancer, Civil Rights activist, member of the French Resistance during WWII, and a woman dedicated to erasing prejudice and creating a more equitable world—in Josephine Baker’s Last Dance. Synopsis: 1814: It’s the third year of the United States second War of Independence. The British are on the verge of capturing the strategically important port of New Orleans. 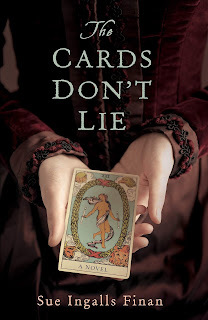 In the midst of the Americans’ chaotic preparations for battle, three women play key roles in the defense of the city: Catherine, a free woman of color, voodoo priestess, and noted healer personally summoned by General Andrew Jackson; Marguerite, a pampered Creole plantation mistress prone to out-of-body experiences; and Millie, a plucky, patriotic prostitute inspired by her pirate lover to serve in the most dangerous capacity of all. These three women’s lives and fates become intertwined as they join forces to defend their country. 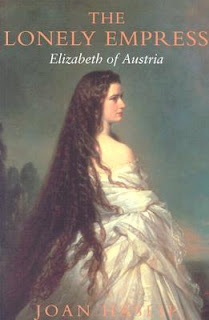 Synopsis: Consort to Emperor Franz Joseph of Austria, Elizabeth was a modern woman who fled the confines of Habsburg to roam free--she fancied dangerous riding, sailing and poetry--but her life ended with her assassination in 1896. 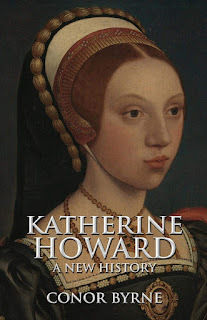 Synopsis: In this new full-length biography of Katherine Howard, Henry VIII's fifth wife, Conor Byrne reconsiders Katherine’s brief reign and the circumstances of her life, striping away the complex layers of myths and misconceptions to reveal a credible portrait of this tragic queen. By reinterpreting her life in the context of cultural customs and expectations surrounding sexuality, fertility and family honour, Byrne exposes the limitations of conceptualising Katherine as either ‘whore’ or ‘victim’. 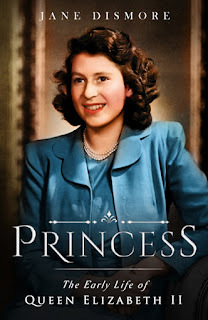 His more rounded view of the circumstances in which she found herself and the expectations of her society allows the historical Katherine to emerge. Source: Edelweiss/Netgalley in exchange for an honest review. 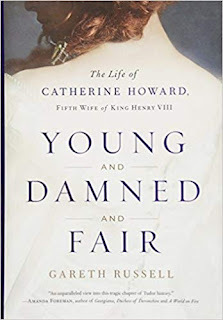 Synopsis: On the morning of July 28, 1540, a teenager named Catherine Howard began her reign as queen of an England simmering with rebellion and terrifying uncertainty. Sixteen months later, she would follow her cousin Anne Boleyn to the scaffold, having been convicted of adultery and high treason. What Girls Are Good For by David BlixtPublication Date: November 6, 2018 Creativia Paperback & eBook; 535 Pages Genre: Historical Fiction Source: This book was given to me by Historical Fiction Virtual Book Tours in exchange for an honest review. Synopsis: Nellie Bly has the story of a lifetime. But will she survive to tell it?